Santa Monica EV primarily deals with OEM clients. We're happy to hear from consumers and will try to respond as quickly as possible but please anticipate a delayed answer as much of our team is frequently overseas. 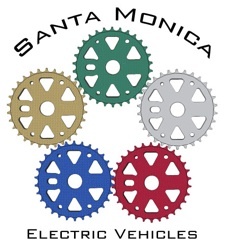 Santa Monica Electric Vehicles, Inc. Follow us on Facebook to get updates and find out about upcoming events where you can see examples of our work.